Why did this book have to end? I mean I could have carried on reading it for a lot longer I was enjoying it that much. And when you get to a chance to move to and live in the city of your dreams will it live up to your high expectations? 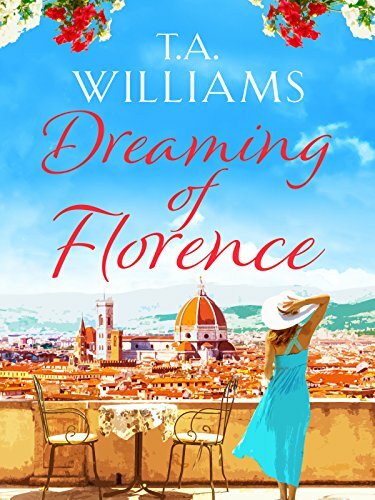 Well that is what Debbie finds out, after a slight bicycle accident with Pierluigi leads to a turn of events that involve Debbie finally about to visit Florence and seek our the sweet spot in the city, with the view of the Duomo that she has been dreaming about since she was a child. Based on the descriptions of Florence it is clear that its a city that the author must love, as you get such a keen sense not just of the larger tourist attractions, but of every day life in Firenze. From the architecture, to places off the beaten track, to the restaurants and delicious sounding Italian foods, to some of the surrounding area, the book could potentially be a love letter to Florence! The question is will Pierluigi also be the man of her dreams, and just how will she cope in Florence? Well those are answered and its quite an adventure for Debbie. You may though be wondering is there T.A. William's trademark chocolate labrador in this book and you will be delighted to hear that Bryon features and is absolutely gorgeous. He brightens every scene he is in, and it clearly a well loved dog. I'm just not telling you where he fits into the story! 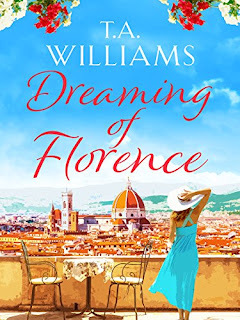 From my virtual trip to Florence, to the romance in the book, the amazing food descriptions, the hidden tourist spots of the city and a whole lot more, plus memorable characters and a lovely story, Dreaming of Florence is a fabulous book that I loved every last second of. Just downloaded it into my kindle. I am big fan of T.A Williams books. I read the previous book and it was great to travel through Venise. Love the review.